Our resort welcomes all guests and their families and is proud to provide fun activities for you to experience each and every day. Now, we know we can’t speak for everyone…But here in the mountains of Northern California we love outdoor activities such as swimming, hiking, horseback riding, fishing, playing sports, and more. If you would like to relax with your friends and family we are happy to suggest a couple’s massage, mom and little princess treatment, men’s facial or gentleman’s manicure and more! However, if you ever feel like you’ve had your fill of luxurious resort living there are other options. You can easily arrange an outing to visit nearby Clearlake and enjoy a family outing in a boat out on the water under the warmth of the California sun, go fishing, and even work on that tan. 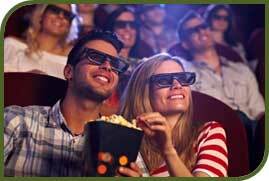 After a fun outing families can watch a movie under the stars together, or each find something unique that caters to their own special interests. Hoberg’s will host various concert events throughout the year, arrange campfires, provide access to the local golf course, offer wine tasting, and even have shuttles to take you to and from nearby casinos if you’re feeling extra lucky. So whether you’re on a romantic getaway for two, or taking that special someone and the kids out on a vacation they’ll never forget—definitely be ready to experience the vacation of a lifetime. Camera crews, celebrities, fame, and fabulous opportunities are coming to Hoberg’s Club Resort! It’s possible that when you’re staying at Hoberg’s you might see movie magic in the making. In the past the Mythbusters have used the resort as a location to conduct some science-fueled fun, but in April of this year the new investigative reality television series Unresolved Mysteries will shoot an episode of their own amidst cabins that are currently being refurbished. Some more exciting news that we have to share with you is that another crew from the new show Incredible Mysteries is coming to Hoberg’s to explore the history and current cultural phenomena surrounding alien abduction, ghostly encounters, and more. Star Treatment or Spa Treatment? There’s no Difference at Hoberg’s! With so much to offer courtesy of the new and improved Spa at Hoberg’s Resort, we decided to write up a short blurb here on our blog to explain some of our favorite spa services that have been designed with you in mind. To start, the Spa at Hoberg’s will be resting on a natural hot spring. This means that the majority of the resources used will be completely local and even create and even more unique experience. In addition, let’s mention the excellent pricing. For less than $50 you can experience ANY of our massage treatments for at least half an hour. (Your choice of Swedish shiatsu, deep tissue, or reflexology.) We even encourage you to make it a date and bring along that special someone so the two of you can relax together. So whether you’re looking to get your nails touched up or would like to experience total rejuvenation, be sure to view our spa’s website and learn more about how you can plan a day that is perfect for you. What Makes Hoberg’s the Ideal Resort? According to thefreedictionary.com, a resort is “A place frequented by people for relaxation or recreation”. Hoberg’s is a resort you’ll want to visit because it rests amongst the beautiful natural scenery just north of Napa Valley. This means that while it is accessible to our guests, it is also located in a private and intimate area—enabling those who visit to truly relax and escape any and all distractions that city-life tends to throw their way. So instead of settling for other resorts that are surrounded by busy industry, you can choose Hoberg’s as your vacation destination and experience recreation and total relaxation. We like to think that we can exceed everyone’s expectations because even though we expect to be frequently visited by guests from around the world, we will strive to provide everyone with an atmosphere that brilliantly showcases the serene qualities unique to the mountainous regions surrounding Northern California. Hoberg’s Resort is beautifully located in the mountains of Northern California. It is a perfect vacation getaway, but can also serve as an ideal wedding and honeymoon destination. The great outdoors are literally Hoberg’s backyard, and the natural scenery creates the perfect ambiance for any type of wedding. The resort also features various indoor locations to provide different spaces for wedding ceremonies, receptions, and festivities of all kinds. Hoberg’s not only provides the setting and lodging for yourself and guests, but with our on-site wedding planner is also available to assist you, ensuring that worrying about your big day will become a thing of the past. Catering is also something the resort proudly prepares and provides for such exciting occasions. The chefs at Hoberg’s are the best around, and they proudly prepare delicious international cuisine that always pairs nicely with Napa County wines. Seriously though, what’s not to love about a Hoberg’s wedding? A wedding planner, location, catering, lodging, and entertainment combine to make the most memorable day imaginable—all you need to do is say “I do.” After the vows you and your new spouse can greet your guests for the first time as a married couple in Hoberg’s state-of-the-art ballroom for the reception of a lifetime. Whether live entertainment or a DJ is your musical provider of choice, let the melody fill the air as you dance the night away. With our friendly staff to accommodate your every need, there is no stress when it comes to conducting your romantic rendezvous. But perhaps the idea of a large celebration isn’t your cup of tea, and that’s still just as wonderful! Trust me, Hoberg’s means it when they say they want to cater to everyone’s desires. Come visit us with just your special someone, or a small party if you prefer, and conduct your ceremony in our private indoor chapel and afterwards sit around a crackling campfire and let the stars romantically light your first evening of married bliss. The lake along with the soil and the weather is a great place for the beer fermentation. The location is known for its beers and along with that a vast number of eateries and pubs. While Lake’s wine industry revamped in the late 1960s, the beer industry is of a later vintage. Mount St. Helena Brewing Company built a solid footing in this wine driven locale. Mount St. Helena Brewing Company is a place in the little town of Middletown. Sitting in the shadow of Mount St. Helena, this distillery offers brews that truly reflect the region. Built in 1996, the bottling works has utilized it’s over a decade of experience has refined every lager on the menu. They carry various types of beers: With their English Ale one can discover a session brew with great taste. It has light copper color, toasty nose and has luxuriously malty in advance with foods grown from the ground in back. It has received the Gold award champ at the California State Fair. IPA with its citrus-pine fragrance has moderate malt with bunches of botanical evergreen jump taste. It is luxuriously layered. Nectar Wheat Ale has clear light gold color and slight honeysuckle smell; the taste is clean and straightforward. The Mount St. Helena Brewing restaurant serves up some of the best burgers and pizza around. Restaurant rating sites and websites give the pizza two thumbs up for inventiveness, character and consistency. The menu is inventive and fun. People can try the Funnel’s Fire Pizza or the BBQ Chicken Salad . So an individual can take the delightful drive north up Highway 29 from Napa County to Middletown for a brewery visit, and after that can think about a visit on up 29 through the towns to Clear Lake. They can also book a stay at Hoberg’s Resort and see a couple of the 18 neighborhood wineries. It is frightening to think how many toxins get into your skin just while out and about each day. They can cause all kinds of problems and with free radicals now being proven to cause premature aging it is important to look after the part of your body that people see most (your face). At Hoberg’s Club, they offer a whole range of facials that can deal with different kinds of problematic skin. Hoberg’s Club Spa is situated in beautiful woodland stretching just less than 60 acres. This allows you to get away from all the traffic and pollution for a while and the opportunity to take a walk around the natural and beautiful surroundings of the site. While there you can bring your skin closer to nature too by treating yourself to one of the many specialized facials. If you suffer from acne the Hoberg’s club acne facial has been created just for you. Their Acne facial is specifically created to treat the root cause of the problem and works specifically on the acne prone areas. It cleanses deep down to get rid of the problem rather than just topically treating the spots which allows you to get the clear skin you have always wanted and keep it. They use 5% benzoyl peroxide, which is a chemical peel to take away dead skin cells that can make your skin look dull, they also use salicylic acid to get rid of bacteria in the skin that causes spots to worsen and even become infected. It also helps to reduce the amount of oil so that you don’t have to hide away a greasy forehead or other problem areas. If you like to wear backless or strappy tops then you will also want your back in the best condition too. The Spa specialists know this, so they have incorporated a treatment that will help you deal with both at the same time all in under an hour. They will put a masque on the areas to ensure they draw out all impurities, cleanse to get rid of ingrained dirt and oils then exfoliate and moisturize to leave your skin feeling baby soft. According to Dan Nelson Hoberg’s club also offer refreshing treatments for your hands and feet. After exfoliating the skin thoroughly, application of combination of aromatic hand and foot mitts helps help soften up the tissues which is followed by a relaxing light massage. Soft heated towels are used to remove the product followed by the application of peppermint lotion to complete the most rejuvenating treatment.